Mon Guerlain Eau de Parfum Florale is the House’s new fragrance, a tribute to today’s femininity: a strong, free and sensual femininity, inspired by Angelina Jolie. 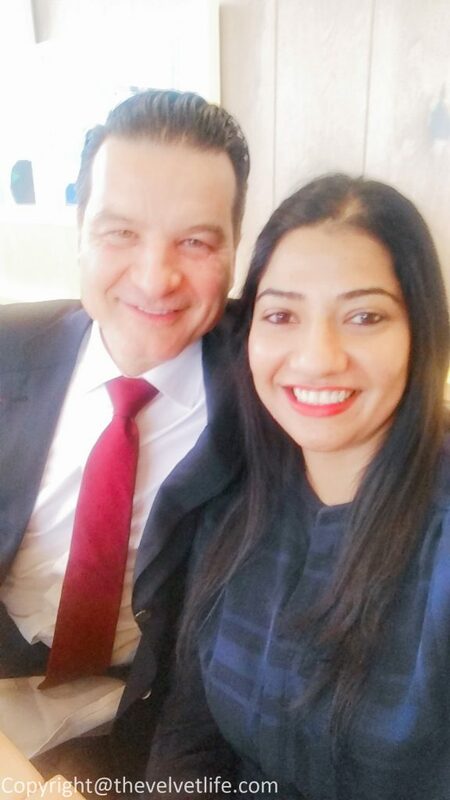 I was part of the launch event of Mon Guerlain Eau de Parfum Florale for press where I had the pleasure to meet Thierry Wasser, the master in-house perfumer of the prestigious house of Guerlain. As intelligent and amazing his nose is, so is his imagination and work, I do not want to miss mentioning that we were sitting next to each other and I had one of the wonderful talk with him regarding the fragrances, the flowers, the parts of the world where he himself visits to see and get the flowers and we did discuss India too, not just flowers but the life, traffic, climate, colors, and the beauty of India. Let me come back to the new fragrance that I have been wearing every day nowadays. Mon Guerlain Eau de Parfum Florale (CAD $80-30ml, CAD $119-50ml, CAD $168 – 100ml) is a luminous fragrance that gives a woman the freedom to be herself, an accomplished woman who follows her dreams. It is a fresh and gentle interpretation inspired by a flower unfolding in the morning dew. 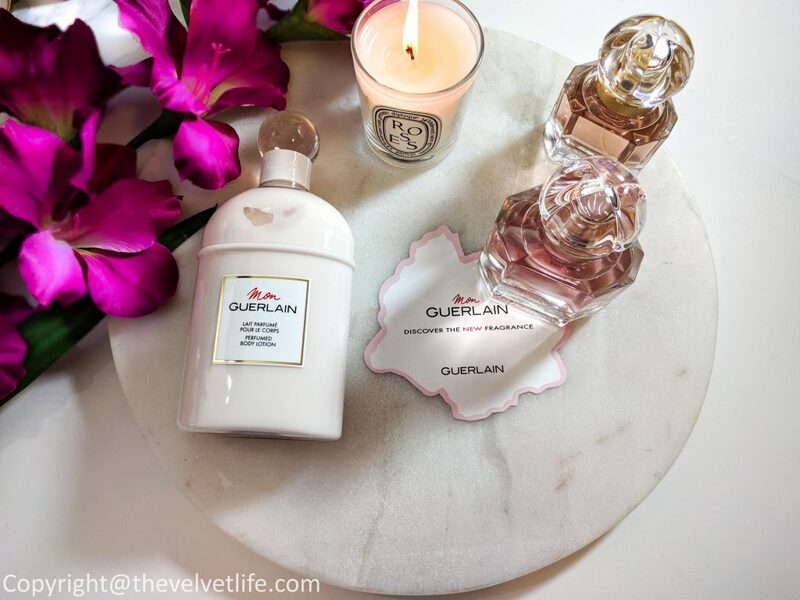 The notes of Mon Guerlain Eau de Parfum Florale is a more floral and airy version of the original Mon Guerlain Eau de Parfum with additional notes of peony and enhanced dos an of Sambac Jasmine. The top notes of Mon Guerlain Eau de Parfum Florale are Carla Lavender and Bergamot. The middle notes are Jasmine Sambac, Peony, Neroli, and Ylang Ylang. 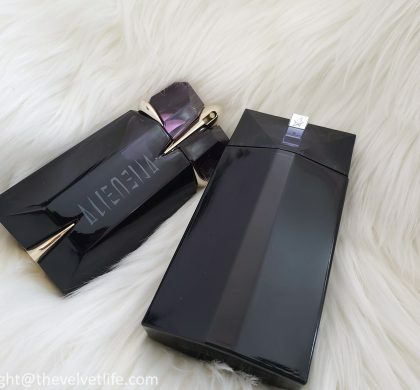 The base notes are Sandalwood, Iris, and Vanilla. This Quadrilobe bottle designed by Gabriel Guerlain was created by the house of Baccarat in 1908. 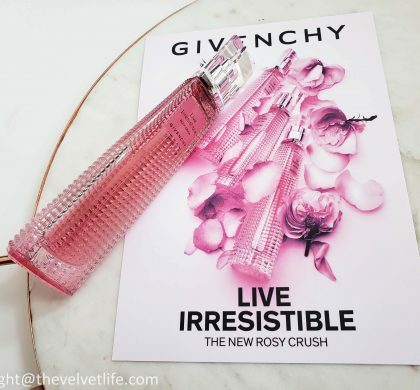 It was held legendary fragrances and over the years has established itself as one of the Guerlain’s iconic bottles, inspiring a host of artists and designers, who have reinterpreted it through their creations. Streamlined, graphic and restrained, it is inspired by an alchemist’s bottle and owes its name “Quadrilobe” to its stopper carved from a solid block to obtain a four-lobed shape. The Quadrilobe bottle pays homage to contemporary femininity by uniting the contrasts expressed by the strength of taut lines and the sensuality of curves. 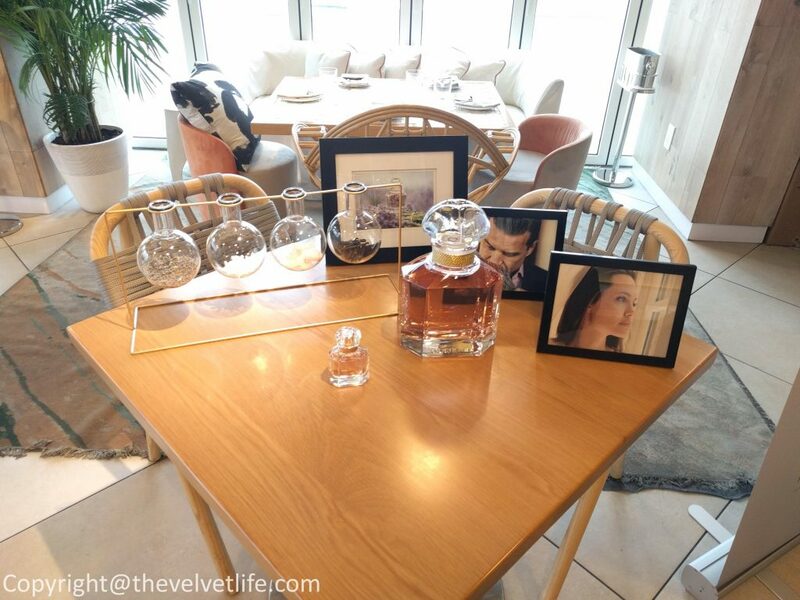 The bottle comes in rose gold color as compared to the champagne nuance of Mon Guerlain as also noticeable in the pictures (the 30ml bottle in pictures is Mon Guerlain while 50ml is Mon Guerlain Eau de Parfum Florale). The fragrance, as mentioned, is a tribute to today’s femininity. Femininity is one of the most precious and mysterious words which has different faces and sides. Subtle, elusive and desirable, femininity fascinates, stirs and shakes up. It is said to be fragile, yet in reality, it is an incredible force because it is a source of life, the origin. A multi-faceted femininity, proud and emancipated, yet gentle and determined in equal measure, never giving up and believing in its dreams. 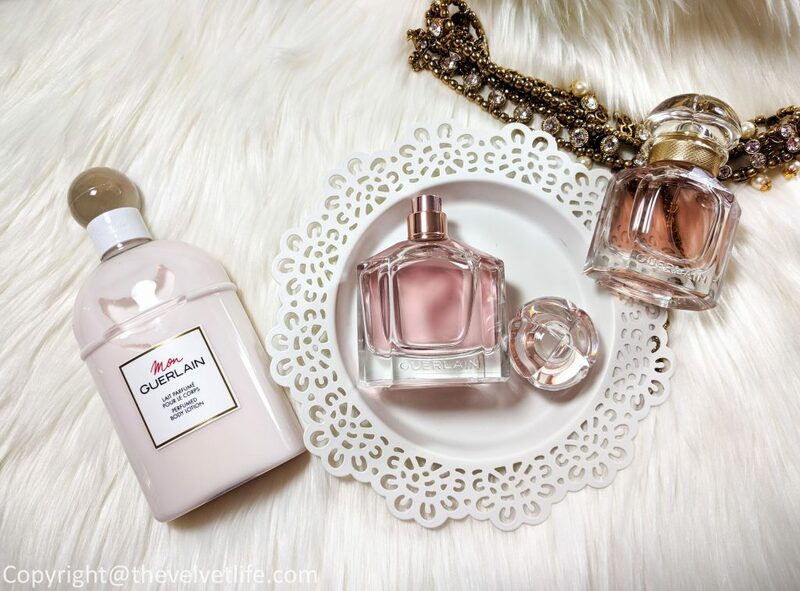 Mon Guerlain Eau de Parfum Florale is all about telling this story of multi-faceted and precious femininity. “For this composition, we wanted to focus on the floral aspect and we have fashioned it like a bouquet of white flowers, heightening the Sambac Jasmine, which is an integral part of Mon Guerlian’s identity”, explains Delphine Jelk, who co-created the perfume with the master perfumer Thierry Wasser. “The sunny, luminous and generous facet of femininity is expressed through the jasmine overdose, just like my colleague Delphine”, adds Thierry Wasser. 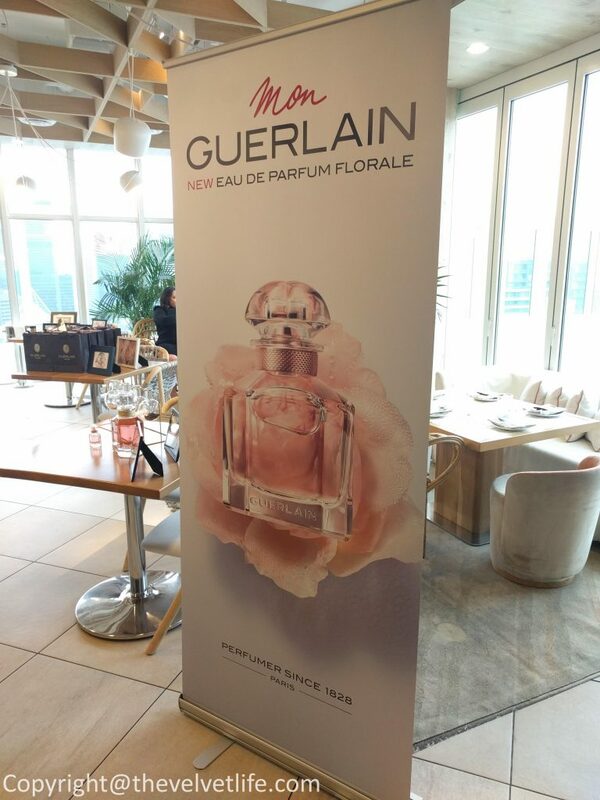 Mon Guerlain Eau de Parfum Florale is a nice everyday scent for me. It is a pleasant, joyful, carefree, floral fragrance like a woman waiting for spring and summer. It is an elegant, well-blended and classic scent. It does smell less sweet than the original Mon Guerlain which is a favorite too. The longevity on me is pretty good, stays on for 6-7 hours on me. Another thing I have been using and loving these days is the Mon Guerlain Body Lotion (CAD $66 – 200ml). It is the perfumed body lotion which presents a fluid, velvety texture that infuses the skin with comforting moisture. It leaves skin soft, supple and subtly scented. The fresh oriental fragrance enhances exceptional raw materials: Carla Lavender from Provence, Sambac Jasmine from India, Album Sandalwood from Australia and Vanilla Tahitensis from Papua New Guinea. 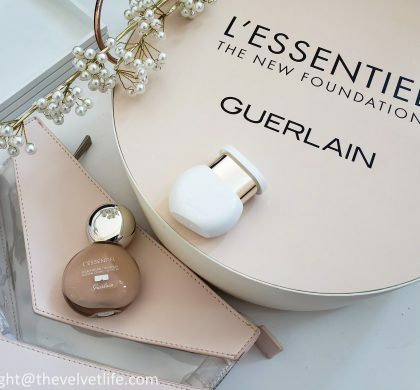 Mon Guerlain expresses the quintessence of a story replete with experiences, nourished by success, expertise, and generosity, all infused with the same passion since 1828 by the Guerlain perfumer. The bottle, with its pure and refined lines, is the emblematic bottle for Guerlain’s bath line. The new Mon Guerlain Perfumed Body Lotion celebrates an art of living. A sensual and refined body ritual, intoxicating enjoyment, the lotion magnifies your scent for a captivating effect. The body lotion is moisturizing as well as has a beautiful scent as the original fragrance, and it is such a good companion with the fragrance to help the fragrance stay for a longer time. 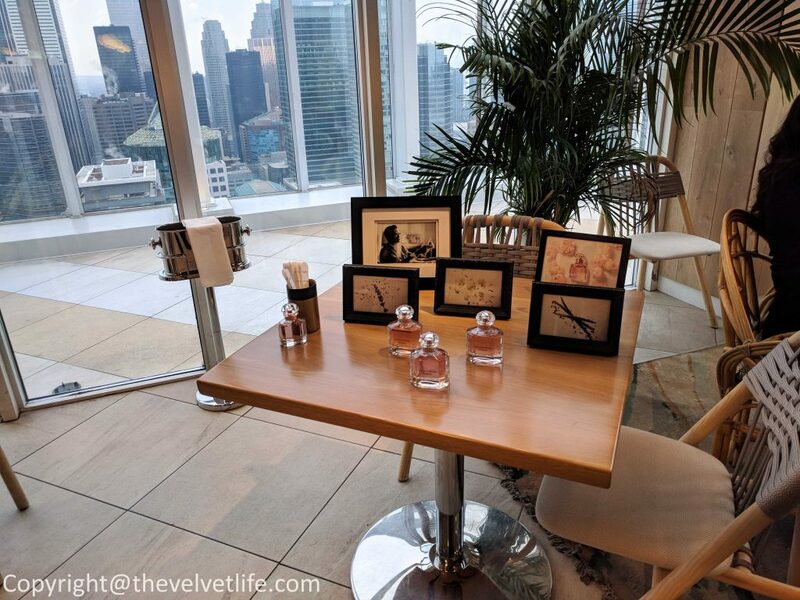 Mon Guerlain Eau de Parfum Florale is available at Guerlain Boutique & Institute, Hudson’s Bay, Holt Renfrew, Saks Fifth Avenue, Nordstrom, Shoppers Drug Mart, Murale, and Sephora.